Tess Durbeyfield has grown up in a poor family, but her father is told that they are ancestors of the ancient and once wealthy d’Urberville family. The family therefore sends Tess away to some distant relatives where she can work and help the family out with money. Alec d’Urberville lives in the house with his blind mother, and Tess’ job is to look after the poultry. But Alec, who is not a real d’Urberville at all, desires Tess and one night takes advantage of her. Tess then decides to run away from Alec and she goes far away to a place no one knows her. There she finds work at a big dairy farm and falls in love with a worker with big plans, Angel Clare. But because of her past, she rejects Angel who keeps persuading her until one days she gives in and agrees to marry him. She wants to tell him her life story before the marriage, but is unable to. On the wedding night, Angel tells his wife about his past lovers, but when Tess finally tells him about Alec, he leaves her. This was certainly a book that made me think, and grateful for that women’s rights have improved during the last century. The biggest question I am left with is; was Tess raped? She was definitely asleep at the time Alec lay down on her and kissed her. And I was really hoping that Angel would be a decent guy, but he turned out to be a man of double standards and a man of principles. It took a month to get through the 350 pages. 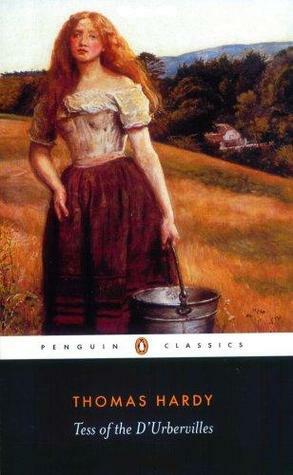 The first parts went easily, but after Tess ran away from Alec and got to the farm, I lost interest in the prose about the landscape and changing of the seasons and the philosophical pondering about Tess and her situation. And it dragged on forever, and then towards the very end it suddenly got really interesting again. But the end was definitely disappointing. I have read some reviews and it seems that this is either a hit or miss, and many consider this as not the best work of Hardy. I have all his works which made it into the 1001 books you must read lists, so I guess I have to read more of him, although it’s not very tempting right now. But I do want to see how Roman Polanski turned the novel into a film.